During World War I, poor oral health was an epidemic. In fact, dental health issues were the leading cause of medical discharge for military recruits. When a team of dental professionals were tasked with finding a way to improve oral health in the US, they determined prevention was the key to success. Their recommendation was for patients to visit a dentist two times a year for dental checkups to prevent oral health issues. Today, you should still visit your Park Slope dentist at least twice a year to ensure your healthy smile lasts a lifetime. 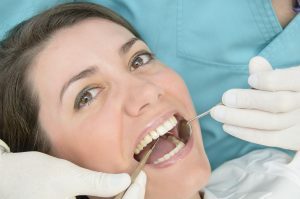 What Happens During a Preventive Dentistry Appointment? Diagnostic imaging – digital x-rays and photos are captured to help diagnose and plan treatment for oral health concerns in early stages. You can view these images with your dentist to better understand areas for concern and treatment options. Examination – the dentist and/or hygienist will visually and manually examine oral and facial structures screening for early warning signs of tooth decay, gum disease, teeth grinding and clenching, TMJ dysfunction, and oral cancer. Teeth cleaning – a skilled hygienist will carefully remove the plaque and tartar buildup from even the hardest to access parts of the smile. One-on-one consultation – you’ll sit down with the dentist to discuss any issues they’ve found and develop a plan to keep your smile whole and healthy going forward. What are the Benefits of Biannual Dental Checkups? At the Brooklyn dental office of Frank J. Sapienza, DDS, we’re dedicated to helping patients understand their oral health and hygiene needs. 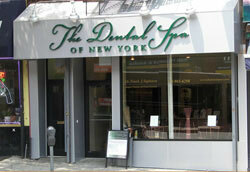 Our regular monthly dental blog is a great way for patients to learn more about all of the dentistry services available from the team at The Dental Spa of New York. If you would like to find out more about preventive dental appointments or schedule your checkup, please contact our friendly, knowledgeable team to get started today.